TEMPERANCE, Mich. (WXYZ) — Adopting a pet to extend your family is a big responsibility, but incredibly rewarding. So you hope that you are getting a healthy animal to begin your new journey. While some do, other adopters tell 7 Action News that was not the case for them at one Michigan rescue shelter. 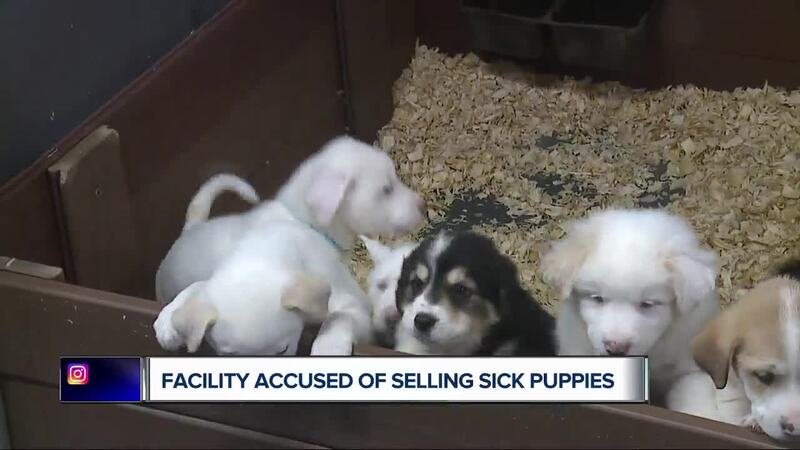 We received tips, concerns that sick puppies were being sold at a shelter in Temperance. And emotions erupted on all sides of this story. But we must remember who is most important - the voiceless, the animals. Northbound Hound was founded out of a desire to help neglected and homeless puppies find forever homes that can give them the care they deserve. While we can and do treat the puppies for existing health issues, unfortunately we cannot undo any harm that may have been done to them in the past. We are honest and upfront with all of our potential adopters about where these puppies come from, if they have known preexisting conditions or that they may develop health or behavior issues in the future. Our adopters sign a contract acknowledging these risks and agree to provide the dog with proper housing and medical treatment. While we understand the heartbreak of caring for a sick animal, we feel it is our responsibility to continue to do all that we can to give these dogs a chance for a better life.